Tim Heidecker and Davin Wood announced their second collaborative album Some Things Never Stay The Same last month, and it features guest appearances by Aimee Mann and members of The Shins and Rilo Kiley. Now they’re premiered the first single, “What Else Is New?” from that album. 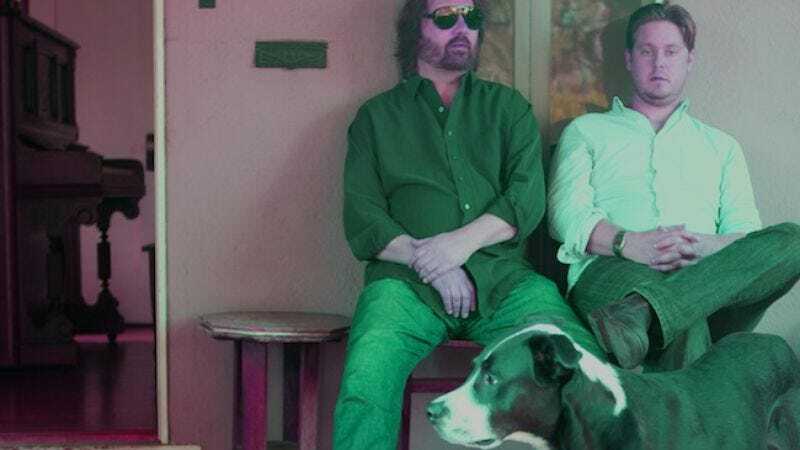 It’s got some Warren Zevon tones, a little Graceland, and even a tinge of Jimmy Buffett that really walks the line between tribute and parody once it kicks into the coda. If this single is any indication, Some Things will be a perfect fit for people wondering where all the cheesy ‘70s rock has gone.